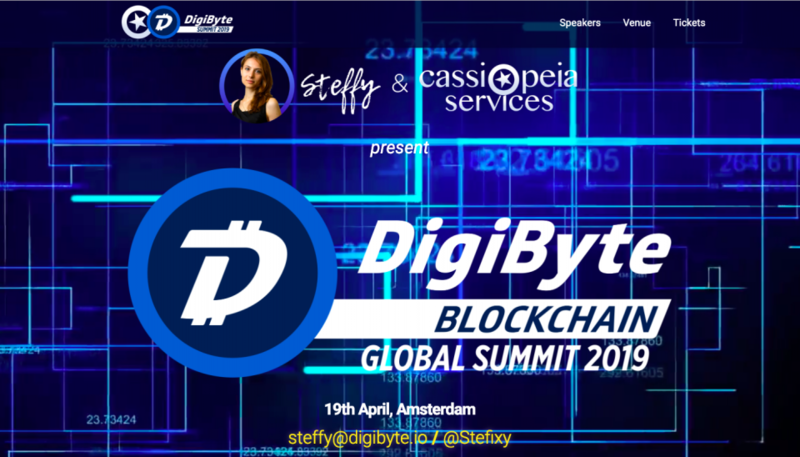 Cassiopeia Services are pleased to share the agenda for the first DigiByte Global Summit in Amsterdam – less than two weeks away on 19th April 2019. The summit will host some of the most prominent experts working in blockchain and decentralisation today. All are developing projects that build on the DigiByte blockchain, deploying it to new applications such as digital identity, data privacy and digital asset trading. Created by Jared Tate in 2014, DGB boasts high scalability and security, together with a forward-thinking approach to development. As such, the technology is a perfect fit for breakthrough projects and concepts, having seen considerable growth in adoption and awareness over the past few years. After the conference, we have also organised a scenic canal boat trip departing at 18.30. If you are interested in joining us, contact Steffy for details and bookings. The summit marks the first ever gathering of DigiByte’s great minds to present and discuss their projects. Even though the projects serve various purposes and have multiple applications, they are all connected by the same vision of technology potential, and how it can be used to design the future of our society. 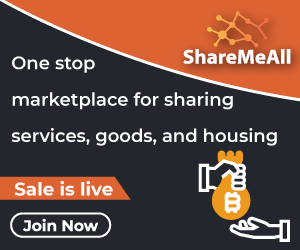 Decentralisation, at its very core, is about empowering individuals and reshaping society; it is about offering solutions to protect people and businesses against digital fraud using a network where everyone could fairly contribute to, so it remains distributed and decentralized, without the need for any trusted third party, and building a digital economy that serves users’ purposes and facilitates transactions worldwide with a high level of security. These new platforms are developed by users just like everyone else, who have the technology expertise to create a new system. More than that, the summit is also a chance for the DigiByte community to engage in open dialogue to strengthen the bonds that bring them together. Stefania Barbaglio, official PR for DigiByte and organiser of the summit, commented: “It is very inspiring to see these great minds coming together and sharing their plans and projects with us. 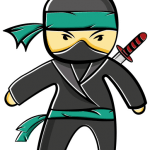 Jared started DigiByte with the mission to fix most of the cyber security vulnerabilities the internet is facing today by using blockchain technology. DigiByte but it is now a social project that has the potential to change society and its economy. It has grown stronger over the last few years and while many other blockchain and cryptocurrencies tried to ride the hype, DGB were working hard paving the way for more innovative ventures to arise. As Jared always says, DigiByte is a family who share the same values, positive energy and enthusiasm in developing projects that can change the world for the better. DigiByte Global Summit will take place on April 19th, 2019 at De Balie, Kleine-Gartmanplantsoen 10, 1017 RR, Amsterdam, Netherlands.